FREE FEATURED Kindle Book on Amazon >> Agent of Influence >> Read the Reviews! "Hamilton delivers a taut political thriller that moves with speed and agility. A fast-paced thriller with an imaginative premise." Kirkus Indie Reviews. 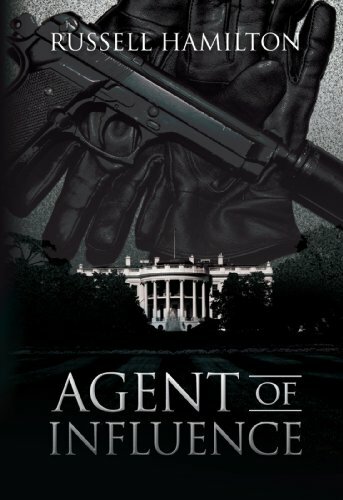 "Agent of Influence is an action-packed mystery/thriller that is certain to entertain." City Book Reviews. "This is one roller coaster ride readers won't want to get off." Foreword Clarion Reviews. "Crackling with insights and rife with adventure." Chuck Morse; talk radio host, former candidate for the US House of Representatives, and author of The Nazi Connection to Islamic Terrorism. A note from the author- For the purposes of the novel I used 10/1/00 instead of 9/11/01 as the date of the attacks on New York and Washington, D.C. This new version has been updated and includes the first few chapters of the sequel to Agent of Influence, scheduled for release in late 2014. Out of the ashes of war-torn Cairo after WWII the Muslim Brotherhood becomes a new kingmaker in Egypt. A rift develops in the Brotherhood and a secret sect forms calling themselves the Brotherhood of the Caliphate. They are patient, cunning, and understand who their true enemy is. Now after fifty years the pieces are in order for them to make their decisive move. There are no instant gratification terrorists in this thriller. You will be introduced to Muslim casino owner Aman Kazim, making his fortune during the mafia heydays of Las Vegas in the 50s and 60s, Aziz A'zami, a former horse trainer and WWII spy living out his last days in Islamic Cairo, and their protégé, Zachariah Hardin, who after thirty years has ascended the political hierarchy of the United States. Agent of Influence takes globe-trotting CIA spy Anna Starks through Las Vegas, Lake Tahoe, Reno, Cairo, Louisville, and Washington, D.C. as she races against time to piece together President-Elect Hardin's sinister past before it is too late. What she finds could alter the landscape of the United States forever.